“I create out of inspiration. I create out of love for fashion. Creating this collection was like giving birth to a new child.” – Rajo Laurel on his first collection for SM shoe brand, Parisian. Yes, you read it right. 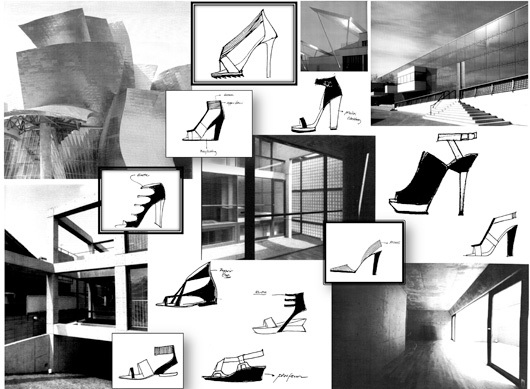 Rajo is collaborating with the iconic shoe brand!!! The collection, named Rajo! 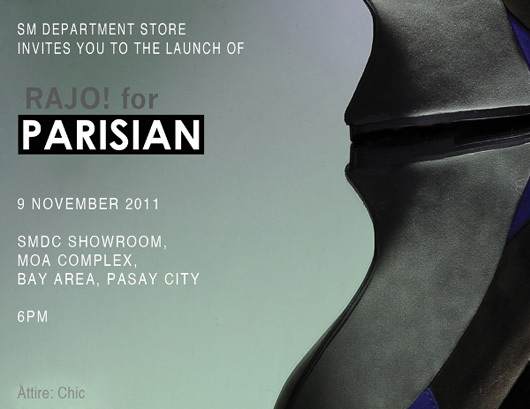 For Parisian, is composed of 14 new designs with only 600 pairs per design, which will be available in only 7 premiere branches of SM Department Store: SM Megamall, SM Mall of Asia, SM Makati, SM North Edsa, SM Cubao, SM Southmall and SM Cebu. And the best thing about this collection? Prices range from only P 999.75 to P 2,199.75! This is value for money at its best! Where else can you get a Rajo original at such a steal? It’s high fashion made affordable! If this hasn’t gotten you even just the least bit excited (what’s wrong with you??? ), here’s a little sneak peek of the Rajo! For Parisian collection. I’ve already got my eye on a few pieces! Har har! :) I can’t wait to see them in person at the launch this November 9! Want to watch the fashion show too? You’re in luck! I’m giving away 2 tickets each to 5 winners! Leave a comment below with your Twitter name and GFC username. Deadline for entries is on November 5, 2011 at 11:59pm. Winners will be chosen via Random.org. As usual, I’ll be announcing the winners on my Twitter.